Wednesday, May 1, 2019 12:00 pm, Terry Douglas of Alliant Corporation will present It’s a Small World: Nanotechnology Updates and Sampling Strategies. All classes, sessions, and demonstrations at Safety Fest TN are free but registration is required to ensure there is enough space. More info below. 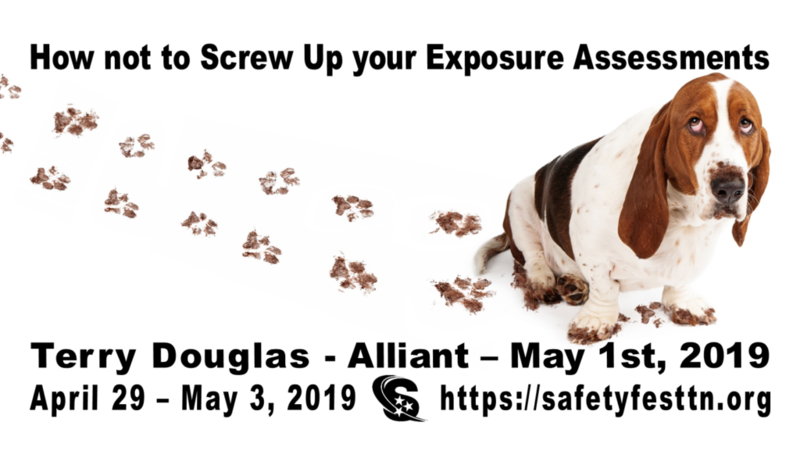 Exposure assessments that evaluate the nature and magnitude of exposures to potential workplace hazards are necessary to protect employee health and safety. Class participants will explore pitfalls associated with qualitative and quantitative assessments. How do you know if you’re doing it right and what happens if you’re doing it wrong? What are the ramifications of improperly identifying the When? What? and How Much? Do you monitor for compliance only or do you perform a comprehensive exposure assessment? Is your assessment designed to protect even the most sensitive worker? Are you focused only on the Occupational Exposure Limits (OELs)? What if a chemical has no official occupational exposure limit? Terry Douglas brings more than 30 years’ experience in occupational safety and health. He is the President of Alliant Corporation, which was founded in Knoxville, TN in 2000. He also serves as Alliant’s Occupational Safety and Health Division Director. Prior to that he was the Environmental Services Division Director for EET Corporation; the Industrial Hygiene Program Manager for Martin Marietta Specialty Components; and a Senior Industrial Hygienist and Chemist for General Electric Neutron Devices. Alliant is comprised of approximately 60 professionals engaged in the delivery of occupational safety and health, environmental management and project control services to both government and commercial clients across the US. Terry holds a Bachelor of Science in Chemistry from the University of Florida with graduate work in Public Health at East Tennessee State University. He is certified by the American Board of Industrial Hygiene as a Certified Industrial Hygienist in comprehensive practice. He is also certified by the Board of Certified Safety Professionals as a Certified Safety Professional.